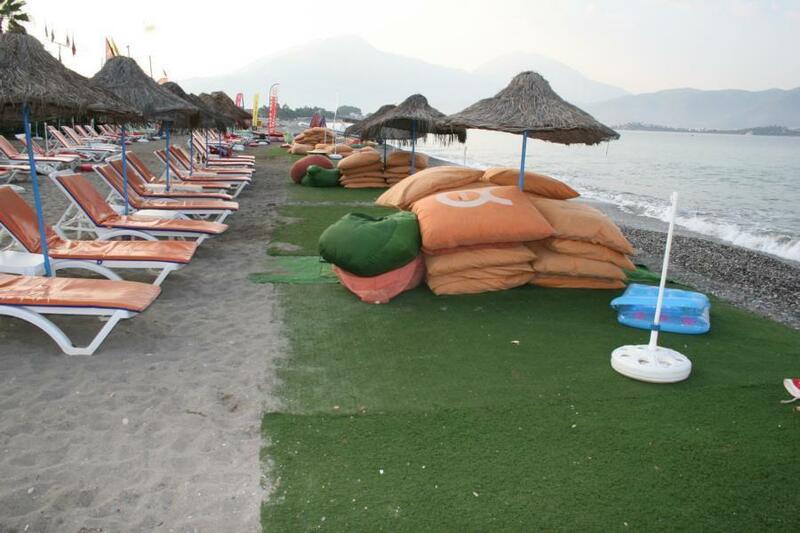 In April, before the nesting season got under way, as part of our campaign to promote better protection of sea turtle nesting beaches in Fethiye (one of Turkey’s key loggerhead nesting sites), we wrote to 72 beachside tourism businesses. In our letter we informed them about our campaign and provided a list of steps they could take to help protect the nesting beach and the sea turtles. All simple but significant actions that make a difference, such as turning off lights and removing beach furniture at night. Urgent action is needed to halt the destruction of Fethiye’s coastal zone and mitigate the negative impacts of human activities that are reflected by a downward nesting trend. Together with authorities and biologists, beach businesses also can play a vital role in the protection and sustainable development of the nesting beach. The code of conduct that we suggest, if applied, will also mean that businesses are helping implement the Bern Convention’s recent Recommendation asking Turkey to take immediate action to improve Fethiye’s nesting beach protection and management, following MEDASSET’s calls for action since 2008. MEDASSET’s letter was translated pro bono by Nova Translations (Ankara, Turkey) and Kerem Atatunç (Ecological Research Society, Turkey).